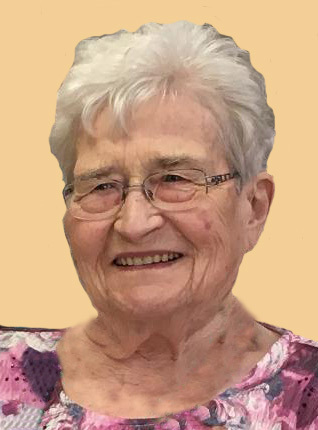 Marion M. Race (nee Seideman), 89, of West Bend, was born into Eternal Life on Saturday, March 24, 2018. She was born on February 5, 1929, to the late Raymund and Clara (nee Gerner) Seideman and grew up on the Seideman family farm near Newburg, Wisconsin. Marion graduated from West Bend High School. On April 29, 1950, she was united in marriage to Kenneth Race at St. Peter’s United Church of Christ in Saukville. Together Marion and her husband Kenneth started dairy farming in Ozaukee County and later farmed near Iron Ridge. They moved to Arbor Vitae in northern Wisconsin where they owned and operated Wihega Resort for many years. Marion enjoyed spending time with her family, her children, grandchildren, and great-grandchildren. She will be dearly missed by all who knew her. Those Marion leaves behind to cherish her memory include her five children, Kathleen (Mike) Matuszewski of Mayville, David (Patti) Race of Shawano, Judy (Bill) Mitchell of Waukesha, Cindy (Daniel) Fiedler of Colby and Jean (Tony) Brath of Iron Ridge; eleven grandchildren, Chris Matuszewski, MinAh Matuszewski, Andrea Race, David (Jessica) Race Jr., Will Mitchell, Jeremy Fiedler, Yvonne (Darren) Blasel, Jennifer Fiedler, Alissa (Daniel) Sandeen, Timothy (Brittany) Brath, Josiah Brath; twelve great-grandchildren; three brothers, Charles (Virginia) Seideman, Gerald Seideman, Wayne (Rosemary) Seideman; a sister, Phyllis (Bruce) Naumann; two sisters-in-law, Maggie Seideman and Marlene (Vern) Shipley; other relatives and friends. In addition to her parents, she is preceded in death by her husband, Kenneth Race; four brothers, Fredrick (Ruth) Seideman, Walter (Ruth) Seideman, Roger (Susan) Seideman, and Dennis Seideman; an infant sister, Ruth Seideman; two granddaughters, Savanna Matuszewski and Kendra Race; and three sisters-in-law, Hertha “Kitty” Seideman, Joyce Seideman, and Delores (Norman) Scheunemann. A private family gathering with family and friends for Marion will be held at a later date. The Myrhum Patten Miller and Kietzer Funeral Homes have been entrusted with Marion’s arrangements. Additional information and guest book may be found at www.myrhum-patten.com.